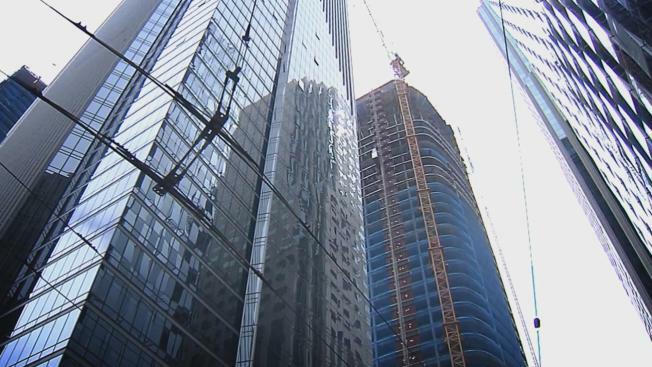 The San Francisco Board of Supervisors’ government oversight committee voted Thursday to issue a subpoena compelling a reluctant UC Berkeley structural engineering professor to explain how he vouched for the foundation of the now sinking Millennium Tower. Moehle had served as a city peer review adviser on the Millennium project. He also served as a peer review adviser on another tower project that was ultimately abandoned, after experts warned it could sink dramatically. Moehle has not returned calls seeking comment on the new developments, but earlier told NBC Bay Area that he was surprised there was no geotechnical review of the project. Moehle’s colleague on the peer review process wrote a letter in 2006 in which he stressed that no one asked him or Moehle to account for the Transbay transit project slated to be built next door to the Millennium. It is that project that Millennium blames for destabilizing its foundation. A foundation that is not tied to bedrock. In an email Moehle sent to Peskin on Wednesday, the professor wrote that he was sorry he had not been able to attend earlier hearings on the Millennium project. “Certain contractual matters have restrained me in that regard,” Moehle told Peskin, but he did not elaborate. Moehle had been one of two structural engineers who reviewed the structural aspects of the foundation of the 58-story building, which is now sinking and tilting. No expert reviewed the findings of the geotechnical engineers for the project. Peskin had strong support from two colleagues on the panel. “I think the public deserves to know what the heck happened,” Supervisor Norman Yee said in support of the subpoena action. That may be a challenge. Moehle told Peskin that he will testify if commanded to do so, but he will be unavailable for nearly all of next month as he will be attending a seismic conference in Chile. That gathering is slated for Jan 9-13.